A FAVOURITE to buy Northern Rock, led by its former chief executive, effectively ruled itself out of a bid for the lender last night. As widely expected Chancellor George Osborne used his annual Mansion House speech last night to announce the Government intends to sell the nationalised bank back to the private sector. He said: "The independent advice I have received is that a sale process is likely to generate substantially the best value for the taxpayer and should be explored as a first option." The Office for National Statistics and HM Treasury jointly publishes monthly estimates of the Public Sector Finances (PSF). The PSF release published on the 25 January 2011 included, for the first time, complete data for the Lloyds Banking Group (LBG) and the Royal Bank of Scotland (RBS). The classification of RBS and LBG to the public sector has a significant impact on public sector finance statistics. This article summarises the sources that are being used to incorporate these two banking groups, and the other public sector banks, into the PSF dataset. Explanatory notes describe in more detail how the information has been put together and contain important qualifications of which users need to be aware when analysing and interpreting the results. Branches of Clydesdale Bank and Yorkshire Bank could be merged with assets of Royal Bank of Scotland and Lloyds Banking Group in an attempt to create a new retail banking competitor in Britain. National Australia Bank (NAB), which owns Clydesdale and Yorkshire, said that it had been approached by industry players over potential consolidation involving both of the banks. “We have been approached by a number of players in the UK market to see how we could work with them to participate in that consolidation,” said Cameron Clyne, chief executive of National Australia Bank, at the bank’s annual meeting. The move would support the European Commission’s objective of creating a new competitor in British banking. Neelie Kroes, the competition commissioner, is forcing RBS and Lloyds to sell parts of their businesses as punishment for receiving state aid. 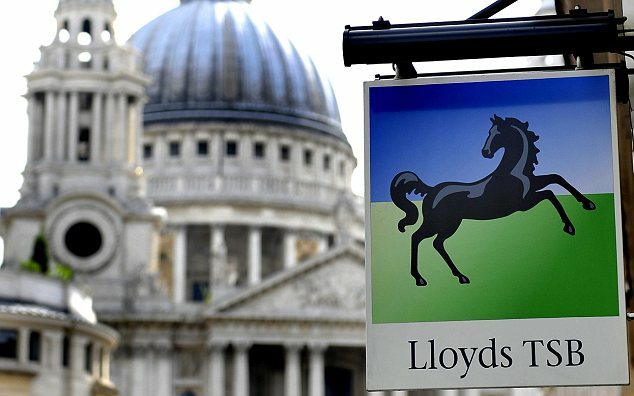 The European Commission on Wednesday cleared Lloyds Banking Group's restructuring plan, which it said will leave behind a much more streamlined bank.